Skincare is a huge part of my daily beauty routine. I always pick products that are effective to keep my skin clear and remove all of my makeup from the day during my night routine. Something that I recently added to my routine are two natural skincare products from Alba Botanica®. Alba Botanica® is not just another beauty and skincare brand. The products they believe in are protecting your body from harsh chemicals and providing you with high-quality ingredients to maintain the beauty you were born with. 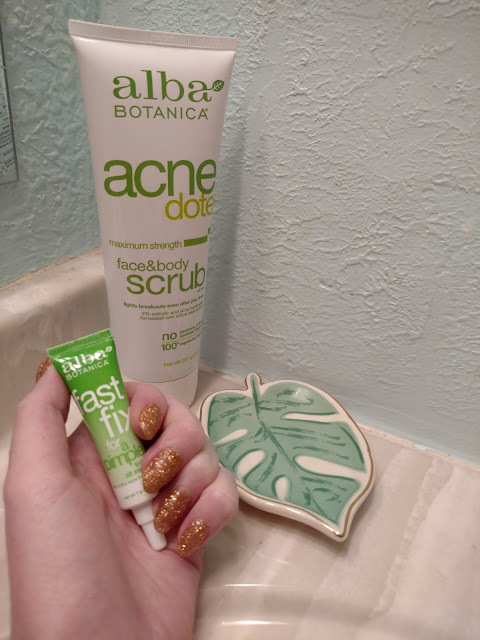 As someone who has struggled with acne for years, I have been through so many endless products to help my skin look clear. I tried the Acnedote™ Face & Body Scrub during my time at college and continue to use it on a regular basis if I need to refresh my skin. The ingredients found in this face & body scrub are meant to do GOOD things to your skin without stripping away important natural oils. Not only does the face & body scrub have powerful Salicylic Acid and Willow Bark Extract to fight existing acne and prevent future breakouts, but it smells amazing! The peppermint smell is enjoyable to use each morning and night, and I look forward to gently exfoliating the dead skill away. You can trust the botanically-based products to leave your face feeling as good as new each time you cleanse. Forget about over-irritation, as the face & body scrub is free of dangerous plastic microbeads that are found in most other skincare lines. 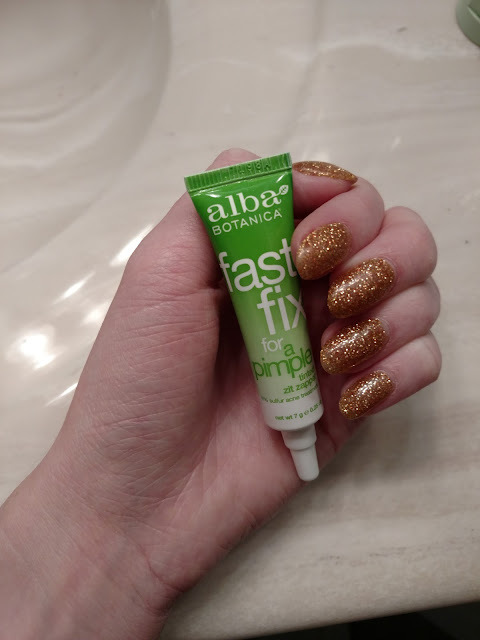 For those unfortunate pesky pimples, try applying the Fast Fix™ For a Pimple to zap away your zit in no time! The licorice root found in this product is great for calming down the large blemish and the willow bark extract soothes the irritation. Another cool factor about this product? It's tinted, so your blemish is immediately covered up in a flash if you need to attend class or have an important business meeting. 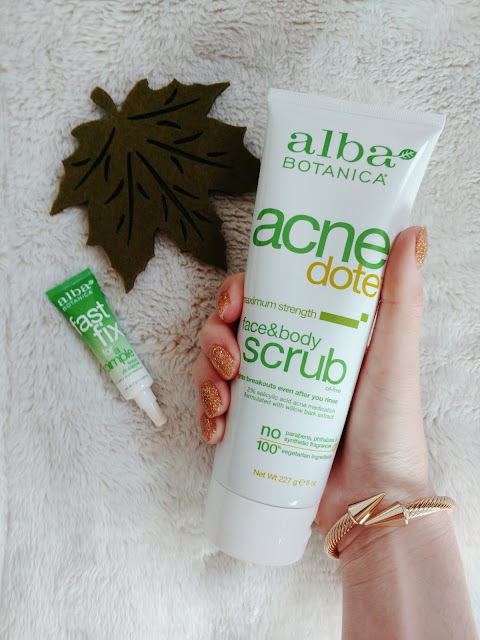 Follow the Alba Botanica page on Instagram for updates on the latest natural beauty releases. *FTC: This post is sponsored by Alba Botanica and Her Campus Media. All opinions are my own. Thank you for supporting the brands that make Affordable by Amanda possible!